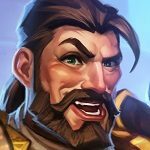 Wild Open 2019 initial qualifiers are over! Top 100 players from each server got into the second stage, and we’ve got an official list. Next step will be Play-Offs (which won’t be broadcasted) on February 16. And finally, 8 players in total will go to the Finals happening on February 23, fighting for their share of $30,000. You will be able to watch them live on the official PlayHearthstone Twitch channel. If you want to see the full list of players who qualified to the Play-Offs, check out the official blog spot. Stay tuned for more information, such as the competitors’ deck lists! No matter who wins, this year’s competition is sure to be wild – Best of luck to the competitors!